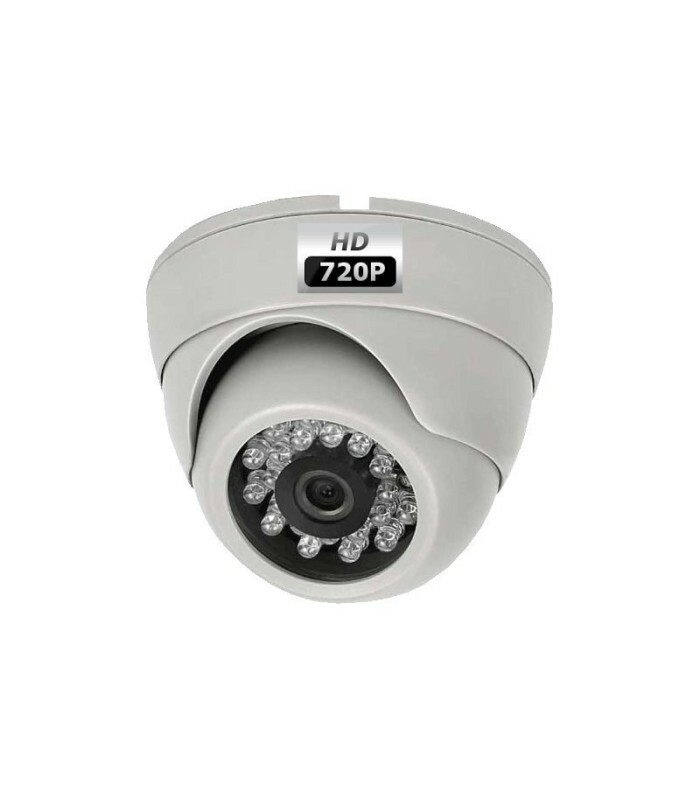 Dome camera for indoor HD 720p Infrared Night Vision up to 20m. 1/2.9" PixelPlus© 1.0 Megapixel (PO3100K) DSP (DH9801), 720P / 25 FPS. 3.6 mm fixed lens with a diagonal field of view of 79º. 24 automatic infrared LEDs providing a clear image to 0 Lux (darkness total) at a distance of 20 m. IR filter automatic CUT which gives daytime images with vivid colors and real.